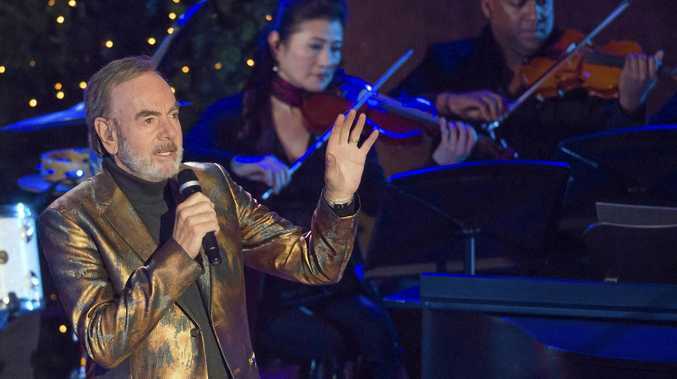 NEIL Diamond's 50th Anniversary Tour is set to land the international rock icon on the Sunshine Coast stage in a massive one-night show, tour organisers have announced. Diamond will perform some of the world's most recognisable songs of the past 50 years on March 22, next year at the Sunshine Coast Stadium, which has a crowd capacity of up to 12,000 people. Tickets will go on sale later this month for the show. Diamond will also perform in Townsville on March 20 and Brisbane on March 24, with more tour dates set for New South Wales, Victoria, Adelaide and Perth. The tour has already travelled the US this year, spanning 40 shows in 38 cities, with critics praising Diamond's skill as a charismatic live entertainer. More tour dates have been announced for the UK, Europe and New Zealand who will join Australia to see Diamond perform. The musician's extraordinary career spans five decades and has produced defining hits for generations of loyal fans. He has sold more than 130 million albums worldwide and has charted 37 Top 40 singles and 16 Top 10 albums. A Grammy Award-winning artist, Diamond is a member of the Rock and Roll Hall of Fame, the Songwriters Hall of Fame and a recipient of the Sammy Cahn Lifetime Achievement Award, one of the highest honours for songwriters. Other achievements tucked away in his trophy cabinet include a Golden Globe Award, 13 Grammy nominations and 2009's NARAS MusiCares Person of the Year award. In 2011, Diamond received the prestigious Kennedy Center Honor for his lifetime of contributions to American culture. Tickets for the Sunshine Coast show and other Australian dates will go on sale at Ticketek from 2pm on Thursday, November 16.